If you like the way we do things at Raisin UK, why not recommend us to your friends and family members? 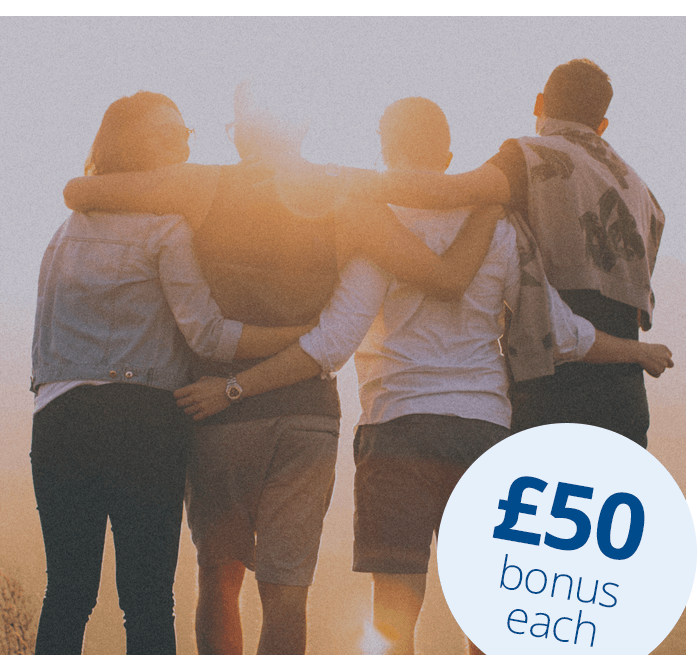 All you need to do to take advantage of our 'refer a friend bonus' is log into your Raisin UK Account and where indicated, fill the names, locations and email addresses of the friends who you want to refer, and we'll send them an email stating that you're inviting them to join the Raisin UK savings marketplace. Please read our FAQs for further information about how the 'refer a friend bonus' works.